Missed festival season last year? No worries, Fluff has you covered for 2017! Check out our list below and grab your tickets early! Why: It's the best festival in the world for uncovering new raw talent. The event, an essential destination for global professionals, features sessions, showcases, screenings, exhibitions and a variety of networking opportunities. SXSW proves that the most unexpected discoveries happen when diverse topics and people come together. Why: Besides the fact that you can party and dance all night long next to your favorite celebs, Coachella has featured serious headliners like Beyonce, Kanye West, Drake, Kendrick Lamar and oh yeah, 2pac. 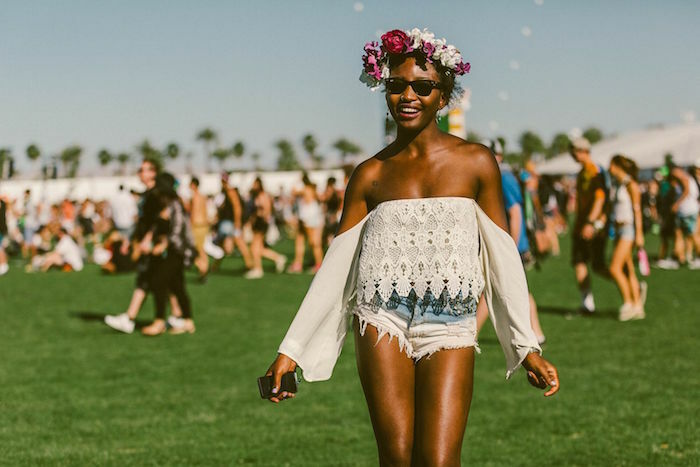 From delicious food to world class art, Coachella offers numerous experiences to enjoy along with the music. Need I say more? Why: Six years ago, music lovers just like you and me started a festival where amazing music, no matter the genre, is the primary focus. Come rain or shine, artists like Madonna, Outcast, Childish Gambino, Drake and more not only perform but mingle with the crowd amidst the photo pits, life-sized board games and some of the best food New York has to offer. Why: AFROPUNK is an influential community of young, gifted people of all backgrounds who speak through music, art, film, comedy, fashion and more. Besides being one of the best platforms for people of color to showcase their individuality, at the core of its mission, are the punk principles of DIY aesthetics, radical thought, and social non-conformity. Described by The New York Times as “the most multicultural festival in the US,” AFROPUNK has expanded beyond Brooklyn, offering dates in Paris, London, Atlanta and Johannesburg. Why: What better way to celebrate your Labor Day weekend than at a music festival created by Jay-Z? If that isn't enough to entice you, Made in America continues to get more ambitious with the amount of talent it brings to Philly each year. There's an emphasis on pop, hip-hop and electronic acts and even though the fest is no longer bi-coastal, it still stands as an excellent way to close out your summer.